Ejuu Godfrey, PhD, is an Education Psychologist with specialized training in Early Childhood Education and Development. He accumulated experience in this area as a nursery school teacher and as a grade III classroom teacher for 14 years. In the last ten years, he has been lecturing at Kyambogo University specializing in Early Childhood Education and Development and research methodologies in the same area. 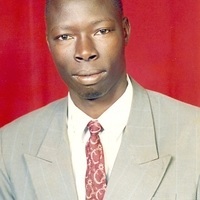 He has been involved in research in the area of Early Childhood and is an expert in Early Childhood curriculum designing, early learning and development standards, Instructional materials for Early Childhood Care and Development (ECCD), Monitoring and Evaluation of ECD programmes, ECD policies and ECD community mobilization and advocacy. He has also participated in consultancy work for the National Curriculum Development Centre (NCDC), National Council for Children (NCC), Ministry of Education and Sports (MoES), Directorate of Education Standards (DES), Kyambogo University, Plan International, Enhancing of Universal Primary Education in Kampala (EUPEK), Psychosocial Education for UNICEF, Christian Children Fund (CCF) and Early Childhood Development Training Institutions Association (ECDTIA) in matters relating to ECD.